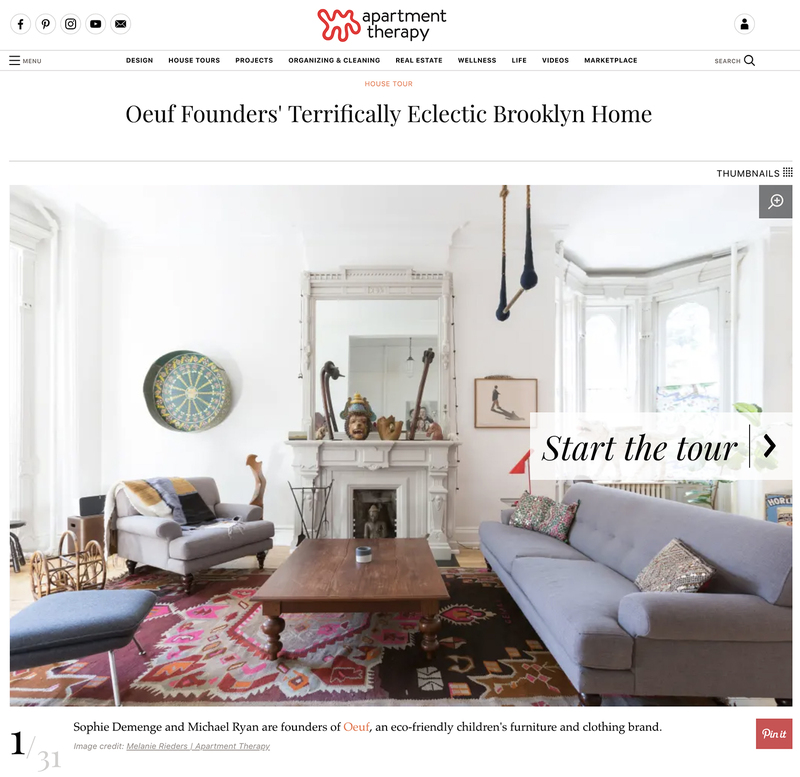 Oeuf founders Sophie Demenge and Michael Ryan share their Brooklyn home with Apartment Therapy! "Sophie lives in the Park Slope neighborhood of Brooklyn with her husband Michael, two kids Mae and Marius, and three cats. The neighborhood is best known for rows of brownstone homes, one of the nation's first food co-ops, and access to Prospect Park (what I like to call the Central Park of Brooklyn)."